On 2nd December 2015 the last of 835 used tyres, weighing more than seven tonnes, were collected from Rokeby on Hobart’s eastern shore and will be taken to Longford for shredding and recycling by Tyrecycle. 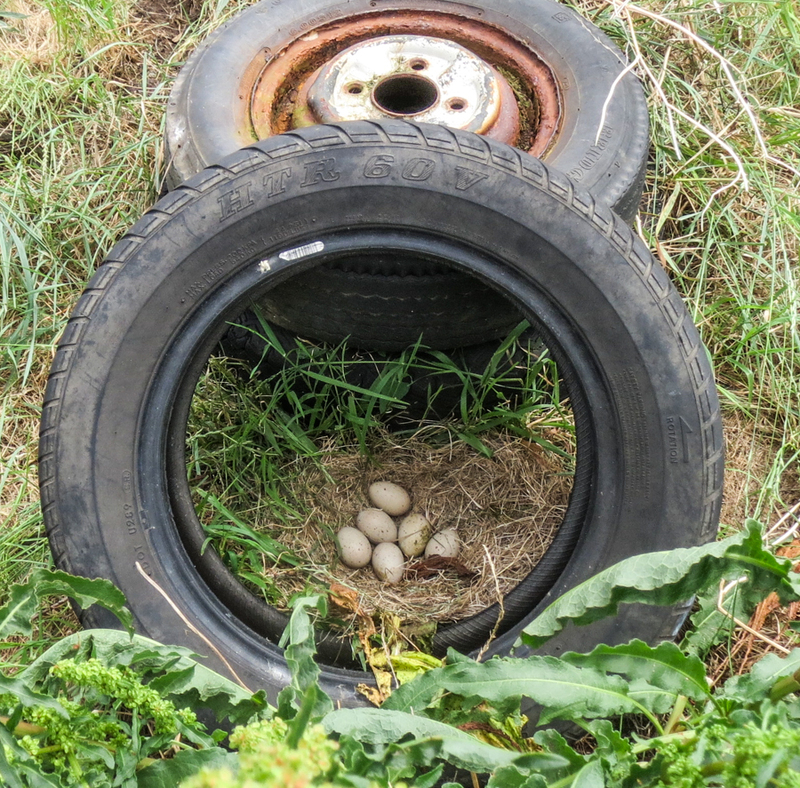 All of the tyres were illegally dumped on this land, which is designated as Public Open Space by the Clarence City Council. Seventeen volunteers collected and cleaned the tyres on Thursday 19 November 2015. Volunteers included members of the Tasmanian Conservation Trust, Tranmere Clarence Plains Land and Coast Care and a Community Service Order team. We thank all those who helped. If the tyres were burnt this would be the equivalent of 7000 litres of diesel burning and potentially spilling into the Clarence Plains Rivulet which is less than 50 metres away and Ralphs Bay that is only 200 metres away. 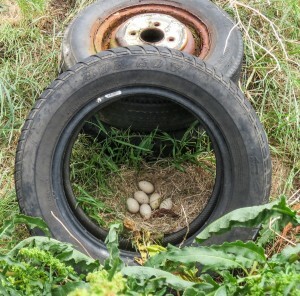 Three tyres were left behind as they provided protection for a clutch of native hen eggs – see photograph. We returned a week later and the parent bird was still sitting on the eggs. We hope to provide a photo of the chicks.